You Face A U.S. Legal Problem. Where Should You Run? : Parallels The options aren't great. But those seeking to avoid prosecution have often claimed political asylum or fled to countries at odds with the U.S. Then there's Iceland. Let's say you are an American facing prosecution and you want to escape the long arm of the American law. Where's the best place to go? Iceland, perhaps, and we'll get to that in a moment. Edward Snowden, who faces potential prosecution after declaring that he leaked details of a highly classified U.S. intelligence program, caught a flight to Hong Kong. Snowden, who hasn't been charged with an offense at this point, says he chose the city for its tradition of free speech. Yet Hong Kong has an extradition treaty with the U.S., and legal experts say that would make him vulnerable if the U.S. government seeks to prosecute him. So what are the options for a fugitive from the U.S. legal system? Think Iceland First: This country has a reputation of shielding those wanted in high-profile cases. 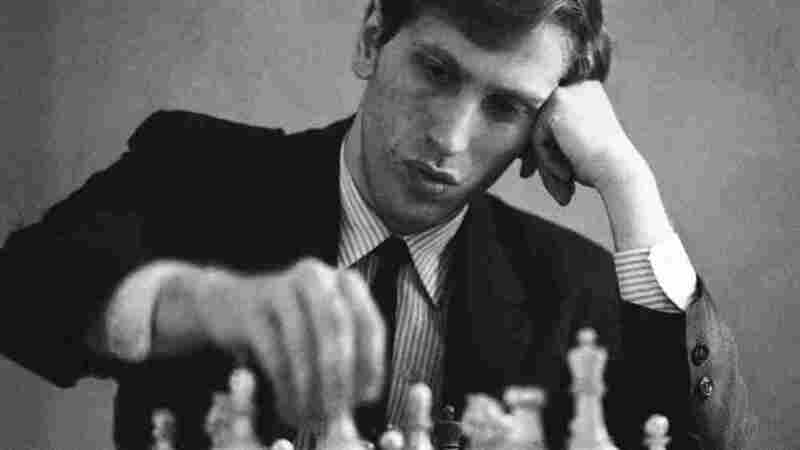 American Bobby Fischer won the most widely publicized chess match in history when he defeated Boris Spassky of the Soviet Union and became the world chess champion in Reykjavik, Iceland, in 1972. The reclusive Fischer re-emerged in 1992 for a rematch with Spassky, which was played in Yugoslavia. Because the Balkan nation was under international sanctions, the U.S. issued a warrant for Fischer's arrest. To avoid prosecution, he remained abroad and out of sight aside from occasional bursts of anti-American invective. However, he was arrested in Japan in 2004. Seeking to avoid deportation to the U.S., he reached out to Iceland, which welcomed him in 2005. He remained there until his 2008 death. The Guardian has quoted Snowden as saying he would like to seek asylum in Iceland, though Iceland's Interior Ministry said he has not made an application. Claim Political Asylum: The example here is Julian Assange, the Australian citizen of WikiLeaks fame. He's been holed up for nearly a year at Ecuador's embassy in London and has been granted diplomatic asylum. But he hasn't dared to leave the embassy because Britain says it intends to extradite him to Sweden for questioning over allegations of sexual assault. "If you have a country that wants to make a political point, this might seem like an attractive option," says Robert Anello, a New York lawyer who has handled multiple extradition cases. "But you have to think ahead. Today, this country may think it's in their interests. But how long is this going to be in their interests? Politicians and policies change." WikiLeaks, by the way, has an Iceland connection. Donations to the group have been processed there. Despite pressure by the U.S. to cut off funding for the group, an Icelandic court gave WikiLeaks a victory in April, ruling that a financial firm in Iceland would have to continue handling transactions. Who Is Edward Snowden, The Self-Styled NSA Leaker? Find A Country Antagonistic To America: In one long-running case, fugitive financier Robert Vesco fled the U.S. in 1973 after he was indicted on charges of business fraud. He then bounced around several Latin American countries and Caribbean islands. He made a large financial donation in Costa Rica, where a law was subsequently passed guaranteeing that he would not be extradited. Vesco later moved on to Nicaragua, where the leftist Sandinista government allowed him in. He eventually settled in Fidel Castro's Cuba in 1982 in his quest to avoid extradition. But he was later jailed in Cuba on drug smuggling charges and reportedly died there in 2007 of lung cancer. Vesco's case is also seen as an example of great wealth buying protection abroad, at least for a while. In some cases, fugitives have even been able to acquire citizenship and live out their years in comfort. But it can take deep pockets to maintain that protection. "If your fortune runs out, you may find that you are no longer welcome," says Anello.